When Efi Rosen launched U.K.- based Rosemor International Ltd. in 1985, the company was best known for its high-pressure equipment popular with police agencies and the general public for cleaning vehicles. Rosen previously had worked as a production manager for Electrolux, a global manufacturer of home appliances known for its washers, dryers and vacuum cleaners. With his technical knowledge and business acumen, he was able to launch Rosemor as a successful niche business. It was in 1999 that Tennant, a U.S.-based global manufacturer of floor-cleaning machines, approached Rosemor with a proposition. Tennant owned the rights to an escalatorcleaning machine known as the Alta 20 but felt it needed further development. 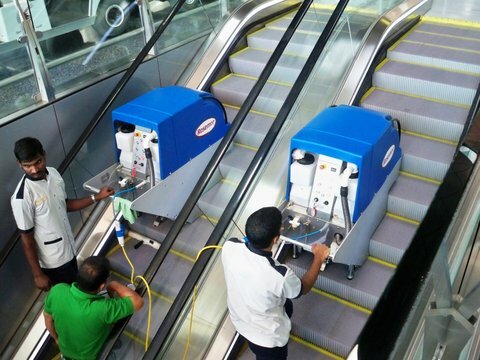 Rosemor took up the challenge, and, after acquiring the rights, designed the Rotomac, a machine with the unique ability to thoroughly clean the curved face of escalator steps. There were no other machines at the time that could easily clean the front of the step. “We came up with the solution in design and patents and drawings,” said Rosen. “We were the original of everything.” Tennant, Rosen said, was interested in developing the Alta 20 for the global market, but the device was outside the company’s “range.” Rosemor began working on a prototype, but it needed “a lot of changes for the customer to say ‘yes.’” It got to “yes” with the Rotomac 360, an automatic, deep-cleaning machine that simultaneously scrubs the top and the curved face of the escalator step. The company says the machine cut the time to thoroughly clean an escalator from days to hours. Rosemor has enjoyed a great deal of success in the 18 years since it launched the Rotomac. From its headquarters in Wallingford, U.K., the company operates a 40,000-sq.-ft. manufacturing plant that distributes its machines to 57 countries around the world, recently entering the Chinese, Indian, Iranian and Romanian markets, and currently in negotiations to sell its products in Russia. Rosen is particularly proud of business news coverage his company has received from broadcasters in the U.K. 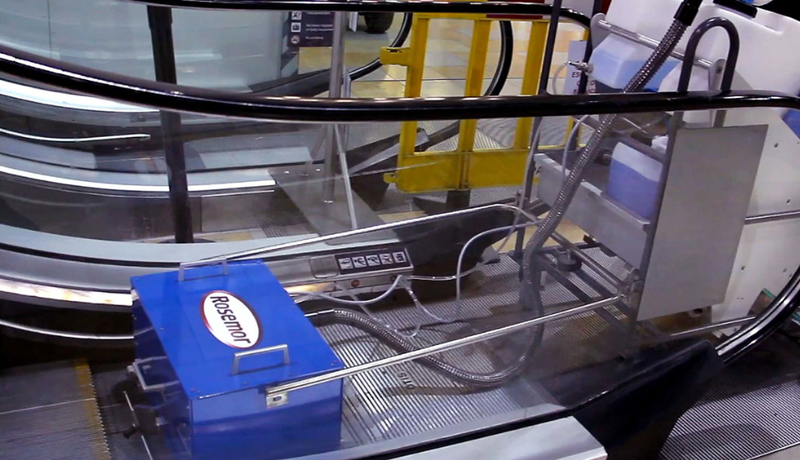 While other companies produce escalator-cleaning machines, “most of them, over 90%, produce a machine cleaning only the horizontal” part of the step, Rosen said, noting that some of them are floor-cleaning machines used on escalators. “Cleaning the horizontal and the vertical is a challenge,” he said. The newest version of Rosemor’s flagship product is the Rotomac ET15B, which employs 15 brushes of different lengths to deep clean escalator steps one-by-one, climbing up as each step is finished. Rotomac customers run the gamut of escalator users. “Our top customer is airports, of course, malls or shopping centers, contractors, facility management and escalator manufacturers,” Rosen said, noting in particular work Rosemor has done with KONE. Rosemor’s newest innovations are the T10 and the T10i. The T10 is an expansion module that attaches to the Rotomac ET15B that can be used on escalators or moving walks without shutting them down — an especially convenient solution for quick cleanup of spills with minimal disruption. 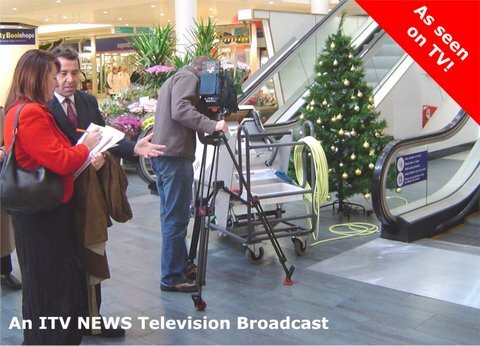 The T10i is a fully automated machine that cleans moving walks or the horizontal part of escalator steps unattended, deep cleaning the surface in a matter of minutes. Rosemor prides itself on its customer support across a range of business areas, including training, 24-hour technical support and the quick dispatch of replacement parts. Rosen said the company is focused on streamlining the process of training Rotomac and T10 operators. The company has already created online training videos and is in the process of developing a training app for smartphones.